The lawyers for two jailed Reuters journalists on Friday filed an appeal with Myanmar’s Supreme Court against the seven-year prison sentences imposed on them on charges of violating the country’s Official Secrets Act. In January, the High Court of Yangon rejected an initial appeal against the convictions, reports Efe news. Wa Lone and Kyaw Soe Oo were detained on the night of December 12, 2017 immediately after receiving documents from two police officers. The journalists were at the time investigating the massacre of 10 Rohingya Muslims at Inn Din village in Rakhine state during a Myanmar Army crackdown after Rohingya rebels launched a series of attacks on security posts in the region. 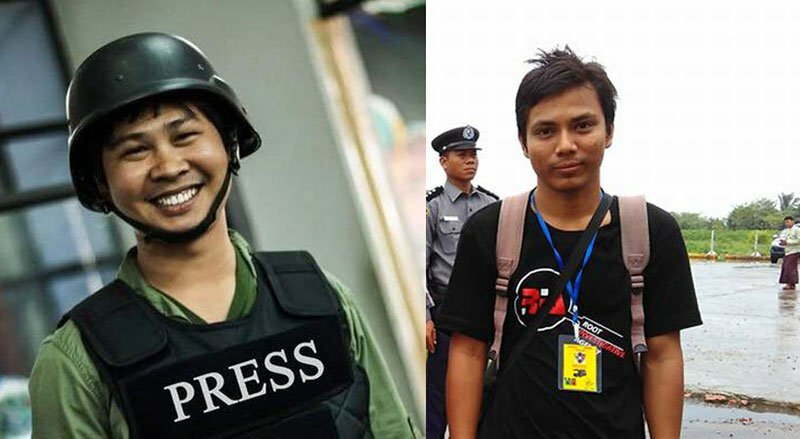 During the reporters’ trial, one of the police officers involved in the arrest, Captain Moe Yan Naing, testified that the two had been trapped in a set-up planned by a senior police official. After the testimony, the policeman was sentenced to a year in prison for violating Myanmar’s Police Disciplinary Act. On December 11, the reporters were named by Time magazine as “People of the Year” in 2018 along with murdered Saudi journalist Jamal Khashoggi, Filipina CEO of Rappler magazine Maria Ressa and staff of American newspaper Capital Gazette, where five workers were killed in a shooting last June.